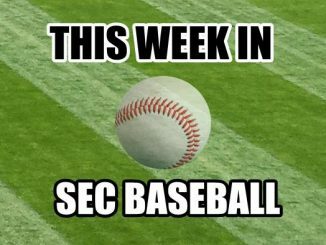 ATHENS, Ga. – (VUAD) Vanderbilt senior Ethan Paul connected on a one-out solo home run in the 11th inning, providing the No. 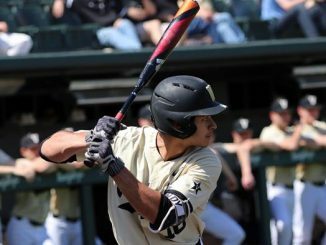 5 Commodores their first lead of the game while helping lift the squad to a series-opening, 3-2 extra-inning victory against No. 4 Georgia on Friday night at Foley Field. Fellow senior Walker Grisanti unloaded on a one-out, pinch-hit solo home run in the top of the ninth, tying the game at two-all. The long ball was his first of the season and third career. 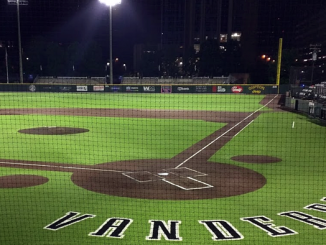 It was also Vandy’s first extra-base hit during a night in which offense was at a premium. 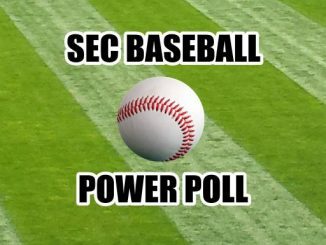 The win moved Vanderbilt (24-6, 7-3 SEC) even with Georgia (25-6, 7-3 SEC) atop the league standings. 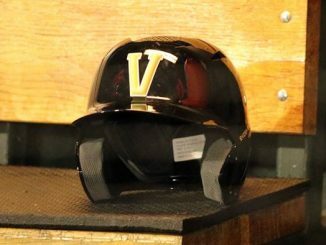 It was Vandy’s ninth come-from-behind win and improved the Commodores to 8-0 in series openers and 9-4 in games in which the opponent scores first. Georgia threated in both the ninth and 10th, putting two aboard in each frame before Zach King and Tyler Brown halted any momentum with inning-ending punchouts. Brown (1-0) locked up his first win, striking out three in two scoreless innings. 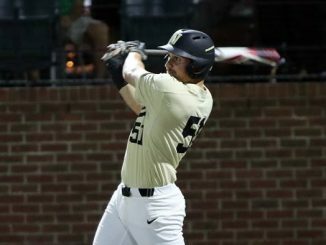 Starter Drake Fellows kept the Commodores in the game, scattering five hits while allowing just two runs, with both coming on consecutive two-out RBI-singles in the third inning. 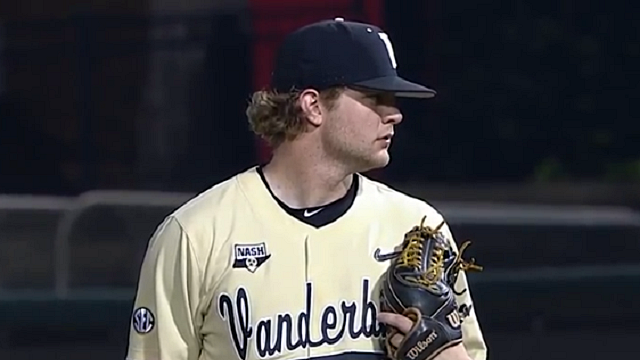 The right-hander fanned six and permitted just one walk across seven innings. 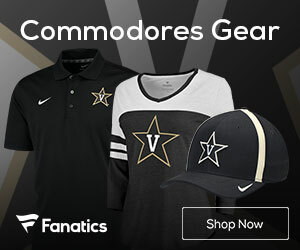 Ty Duvall delivered a two-out RBI-single in the sixth as the Commodores were able to take advantage of consecutive one-out walks to Philip Clarke and Harrison Ray. 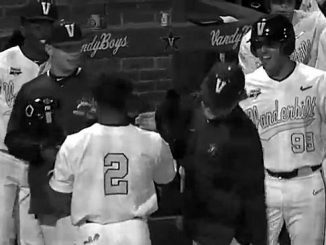 The liner into center field was Duvall’s ninth RBI of the season and trimmed Vandy’s deficit to 2-1.
Cooper Davis extended his team-best on-base streak to 27 games, leading off the contest with a single. 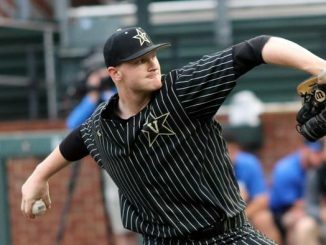 The base knock was one of just four against Georgia ace Emerson Hancock who allowed just one run while walking four and striking out eight in seven innings. 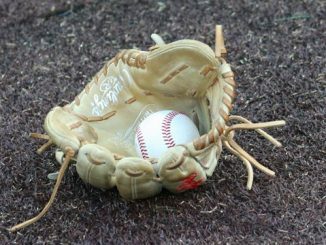 Bulldogs’ reliever Aaron Schunk (1-1) drew the loss, permitting three hits and two runs while fanning a pair in 2.2 innings. Georgia finished just 2-for-14 (.143) with runners on and 2-for-11 (.182) with runners in scoring position. 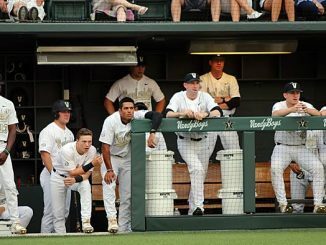 The Dores went just 1-for-9 (.111) with runners in scoring position. 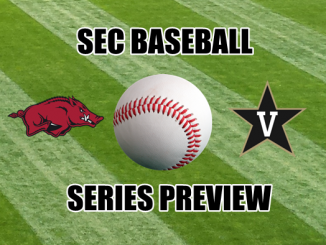 The clubs return to action Saturday at 1 p.m. CT. Vanderbilt will send right-hander Patrick Raby (5-0, 1.22 ERA) to the mound against lefty C.J. Smith (2-1, 2.49 ERA). 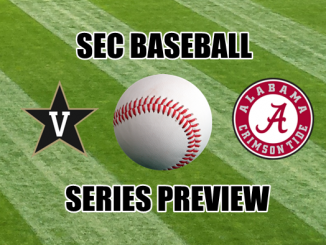 The matchup can be seen on the SEC Network Plus and heard on WNSR 560 AM/95.9 FM and VUCommodores.com.